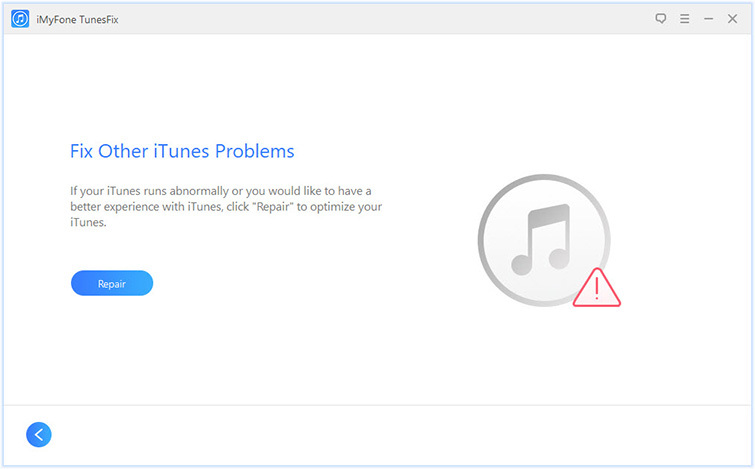 What is iTunes Error 3600 and When Does It Occur? Using iTunes on a Windows or Mac computer comes with a lot of distressing issues and errors. One of such issues is iTunes Error 3600, which is mostly encountered when you’re updating or downgrading your iOS to the latest or previous version respectively. This error has been reported by many to be the most stressing and hard-to-fix iTunes error. Downgrading to an earlier version of iOS. Upgrading to the latest version. Restore your iOS device data using iTunes on a Windows computer. Interrupting your iOS device update or restore process. Using iTunes on a jailbroken iOS device. The following tips and iTunes troubleshoot methods will help you to fix iTunes Error 3600 quickly. It’s easier to fix iTunes Error 360 using an iTunes repair tool that can fix all iTunes errors and issues just in one click. iMyFone TunesFix is an iTunes repairer tool that can make your iTunes run optimally without any errors or issues when downgrading, upgrading, restoring or updating your iPhone, iPad or iPod touch. iMyFone software developers have received numerous accolades from TunesFix users who are now benefiting from an optimally working iTunes after cleaning and repairing their iTunes using TunesFix. If you’re still facing iTunes error 3600, then download and install TunesFix on your Windows PC and say goodbye to every iTunes errors and issues forever. Fix iTunes error 3600 just in one click using iMyFone TunesFix. All iTunes errors and issues can be fixed without losing iTunes backups and libraries using TunesFix. TunesFix can clear up iTunes junk files to boost computer performance. TunesFix is fully compatible with iTunes 12.5 and later versions, and with all versions of Windows. TunesFix as an advanced solution to repair iTunes can auto-detect the issue with your iTunes and fix it as appropriate. Step 1: Launch TunesFix, then it will auto-detect your iTunes. If there is no issue of iTunes and its components, you will be in the home interface. 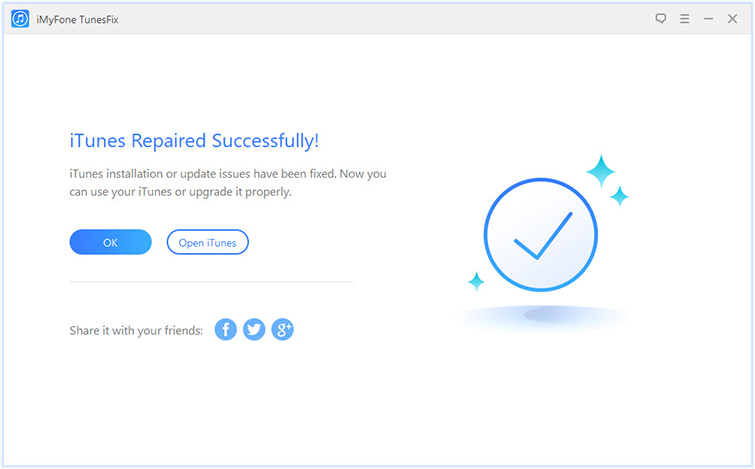 Step 2: Choose “Fix Other iTunes Problems” and click “Repair” to let TunesFix repair your iTunes error 3600. Please, ensure you have a stable internet connection during the repair process. Step 3: Once done, click “Open iTunes” and your iTunes will update successfully. The following solutions can help you out of iTunes error 3600 when updating, upgrading, downgrading or restoring your iPhone over iTunes. Since iTunes error 3600 (iPhone error 3600) can be caused by interruptions from USB connection cable, it’s better you plug your iOS device directly into your computer’s USB port. Avoid using a third-party connection port, plugging into an attached keyboard or USB hub. If you’ve rightly connected your iPhone to your PC using the right connection cable and directly connected to the computer USB port, then you can try to restore, update or downgrade your iOS device again. If you’re in a rush to update, restore, upgrade or downgrade your device’s iOS, then you may not know that the first method we shared has solved your problem. It could also be that you’ve not restarted your device for a long while. So, restart your computer and iOS device and try restoring, updating, upgrading or restoring your device again. There are times when Windows Defender Firewall software can restrict iTunes when restoring, updating and restoring an iPhone/iPad or iPod touch. You can temporarily turn off your computer’s Firewall until you’ve complete your iPhone update, restore or downgrade. Step 1: Click on the Windows Start button, and select “Settings > Update & Settings > Windows Security > Firewall & network protection. 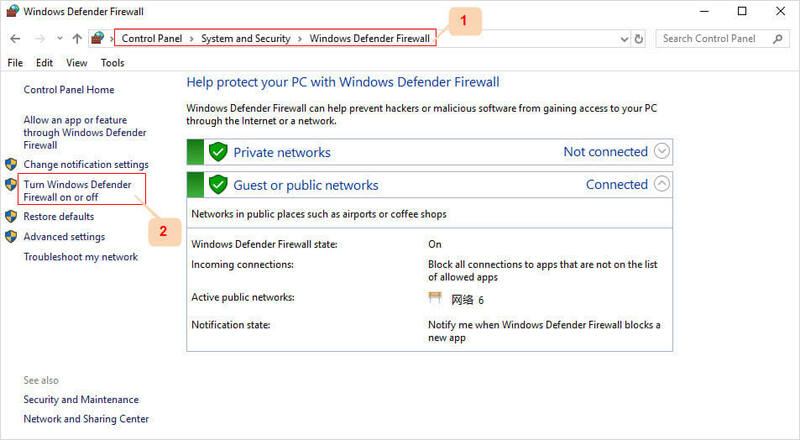 Step 2: Choose a network profile and select “Windows Defender Firewall”. Step 3: Switch the settings to Off. We’ve extensively discussed ways to fix iTunes error 3600 on a Mac and Windows PC. However, it’s pertinent to mention that apart from iMyFone TunesFix, every other method of fixing iTunes error 3600 is a trial and error method. Therefore, we encourage you to purchased TunesFix in order to keep your iTunes and PC working optimally at every point in time.